It can be confusing when you’re at the grocery store and you have to make the choice between an organic bell pepper and a conventionally grown one, especially if the cost difference between the two isn’t that huge. Well, the Environment Working Group just released their annual Dirty Dozen list, which could give you the push you need to make the switch to organic. The Dirty Dozen list is released each year by EWG to help consumers make informed choices when shopping for fruits and vegetables. It looks at data from the USDA and then determines which 12 produce items have the most pesticide residue on them and thus should be either avoided or purchased organic. This year’s list? A dismal affair indeed. Perhaps the most alarming finding this year is that “More than 92 percent of kale samples had two or more pesticide residues detected, and a single sample could contain up to 18 different residues.” Not only that, but “Kale and spinach samples had, on average, 1.1 to 1.8 times as much pesticide residue by weight than any other crop.” Um. What? That definitely sounds alarming. Someone tell John Legend, ASAP! But not everyone says that we should take the Dirty Dozen list so seriously. Several scientists have come out against the EWG’s claims that these conventionally grown items are actually dangerous, and that avoiding product just because it isn’t organic can actually be bad for our health. “The pesticide residues are such a tiny amount of risk compared to the huge amount of benefit we would all get if we ate the recommended amount of fruits and vegetables,” geneticist Anastasia Bodnar told The Huffington Post. Add to that the fact that the amounts of residue found on the list items are still considered safe for consumption and were below what’s recommended by current safety guidelines, and it looks like the Dirty Dozen list might not be so definitive after all. Yes, it’s nice to have a supplementary guide so that we can make informed shopping decisions, but just as important is making sure we don’t scare people who can’t afford organic produce from eating any fruits and veggies at all. 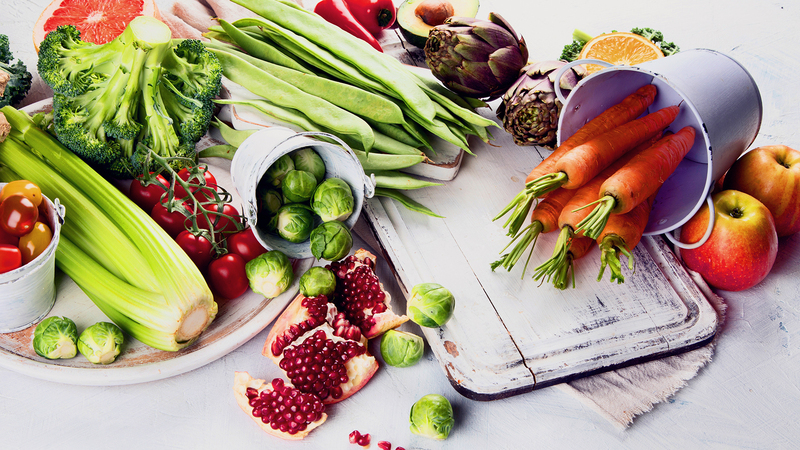 At the end of the day, if you have to choose between a conventionally grown bunch of kale or a Lean Cuisine, you should opt for the former – the most important thing is eating a variety of fresh produce items every day so you body gets the nutrients it needs.